Sunrise Garden Shawl - Knit A Long! Big News friends! We are hosting our first ever Knit-A-Long! The days are getting longer and warmer, our gardens are colorful and fragrant and it's the perfect time of year for natural colors and breezy shawls, so welcome to our #SunriseGardenShawlKAL !! 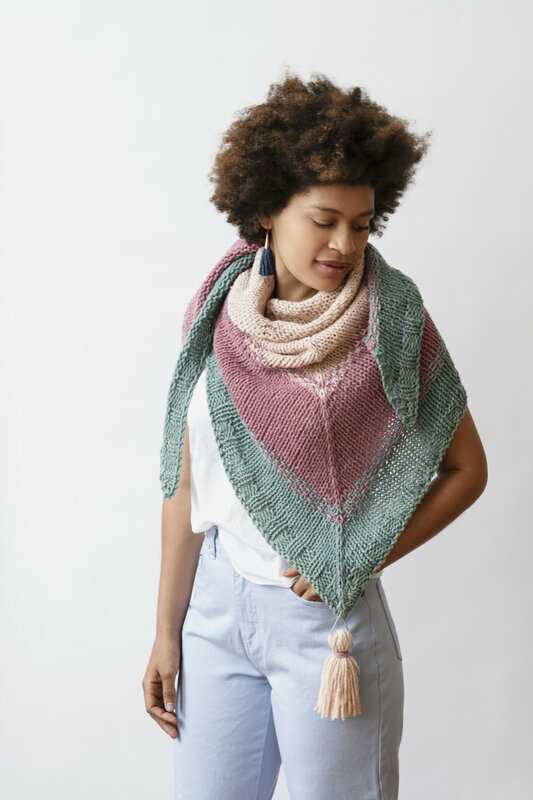 In our shop you'll find the Sunrise Garden Shawl kit for an additional 15% off through May 31st, and our KAL will begin on June 1st! Hop over to our Ravelry Group and join the fun by chatting with other knitters, asking questions, discussing natural colors and sharing your progress! Post photos of your WIP on Instagram, tagging us and using the hashtag #SunriseGardenShawlKAL . At the end of every week we will repost some of our favorite photos! If you're local to the mill, join us to KAL in person! Come to the mill Wedensday June 13th and 27th for Craft Night, where we sip tea, eat treats and watch The Great British Bake-Off from 6pm-9pm! And as a bonus for KAL month we're having an additional Craft Day on Saturday June 23rd from 11am-5pm! You can see more details about these dates on the Events Page of our website. At the end of the month we will pick a winner from all the participants who post on Instagram and Ravelry and give away one super fun prize, TBD! You don't need to complete your shawl to be eligible to win, just post a WIP photo to either place and you'll be automatically entered to win!